Awakened in the cursed city of Darkwood with no memory of who you were or how you arrived in the city, your suspicious appearance was quickly offset by your apparent knack for finding lost things, allowing you to be appointed as the Seeker of Darkwood. With the heavy responsibility of the title weighing on your shoulders, you’ll now need to help the townsfolk with any items they’ve lost and track down the cause of the curse that afflicts the city. Will you be able to live up to the role you’ve assumed? Well, you’ll need to play Seekers Notes to find out! In this game, you’ll first need to create an avatar to role-play as. There are quite a lot of avatar portraits you can choose from, and you’re free to change your avatar for free later down the road. Once done, you’re welcomed to the Cursed City by Helen, the Mayor’s assistant. 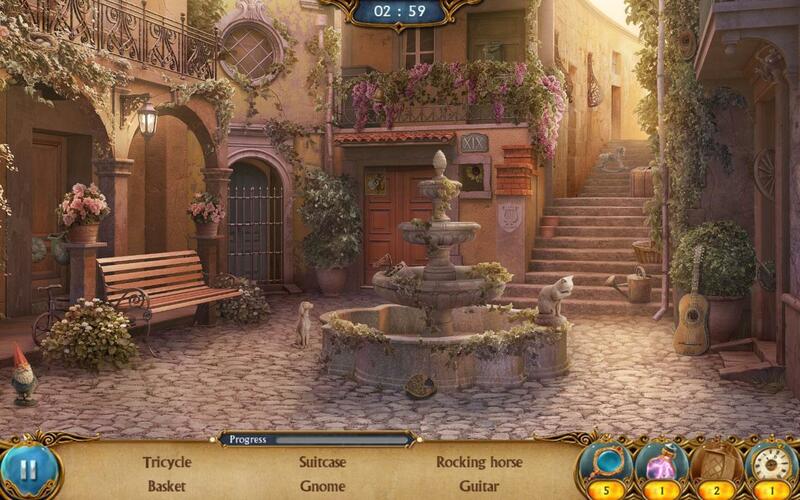 Like most classic hidden object games, the scenes in Seekers Notes will cost you energy points per entry, and have many different types – word lists, outline mode (silhouettes), night mode, matching pairs and more. 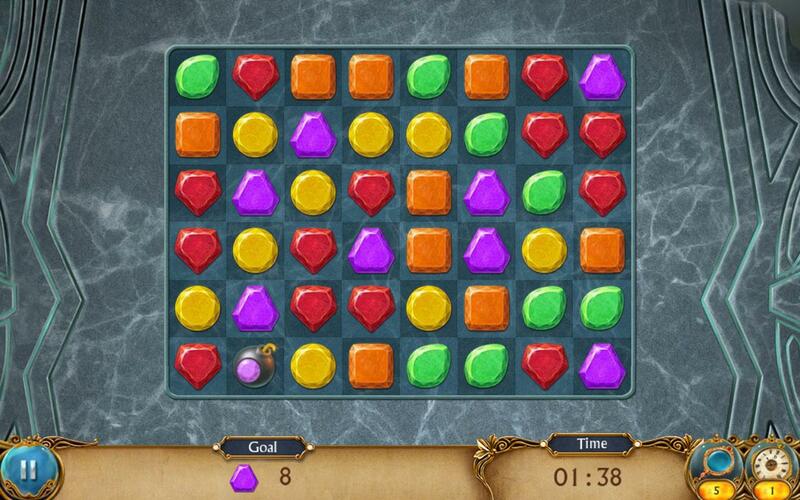 The scenes are timed as well and you are only given 3 minutes to find all the hidden objects required. As the game doesn’t have a combo system, unlike Criminal Case, you don’t exactly need to chain up your finds. However, if you can complete a scene fast enough, you’ll get more goodies. Do take note that the penalty (10 seconds reduction from the timer) for wrong clicks (or “taps” in this case) apply. Each scene will randomly award you with quest-related items, collectibles or materials depending on how fast you were in completing the scene and how lucky. 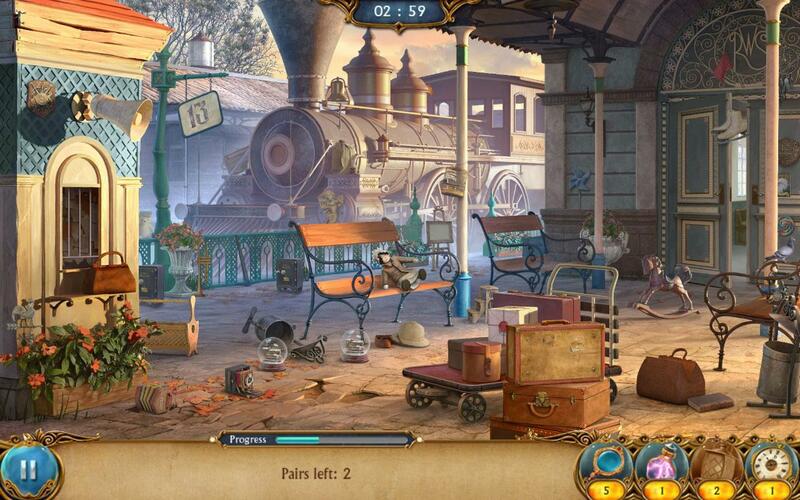 The hidden object scenes can also be ranked up after certain number of repeated playthroughs. Higher ranked scenes will naturally be tough to beat than lower rank ones. There are also various puzzles in this game that ranges from a timed match-3 game called the Treasure Box, to a card match-2 game named Ancient Cards. Like scenes, they cost energy to play and can be ranked up too. Of course, the difficulty will increase as the puzzles increase in rank. Some scenes and puzzles in the game can be pretty challenging to complete, and hence, Seekers Notes offers a myriad of helpful tools for your use. Depending on what you need – some extra time or a hint for example, you can get the corresponding tool from the in-game shop and use them. Furthermore, new scenes can be unlocked by completing collections, and the subsequent quests that require you to find the keys. When it comes to collections, things might get a bit complicated. You see, the game has 2 forms of collections – one of which involves combining collectibles with fixers to get trophies while the other requires you to find collectibles to exchange for artifacts. Both artifacts and trophies are useful as trophies will give you a random collectible every couple of hours while artifacts grant you amazing but temporary bonuses. Aside from that, the game even has an exchange, crafting and banishing system. In this game, you can exchange certain collectibles and materials for another item by exchanging the items with a local. There are also “workshops” where you can approach the merchant within the shop, such as the Fortune Teller, to craft some items for you, as long as you have all the ingredients needed. On your game map, you’ll also notice the monsters roaming around on it. By using specific items to banish them, you can get other resources in return. Sounds complicated? Well, after a few hours of playing, you’ll be able to get the hang of it, so don’t worry! There’s also a social aspect to Seekers Notes since you are encouraged to visit your friends and help them out with up to 5 scenes per day to get some extra goodies. You can even hire them, and depending on their randomly assigned talents, they will grant you with specific rewards. For instance, a hired friend with the Joker talent will reduce your energy consumption by nice 10%. Let’s not forget that you can rank yourself against your friends’ progress on the leaderboard too! The graphics in the game is simply amazing. The art style is unique and the hidden objects seem to blend so well with the background, making them quite hard to spot at times. The music, on the other hand, is beyond incredible. Personally, I think the ambient sounds they’ve added for each of the scenes had made all the difference when it comes to game immersion.